A languid East Coast drawl narrates a strange but familiar montage; crop haired girls trying on neat A-Line shifts and tight-fitting t-shirts: white, red, black. “We'd often go look for clothes. We’d shiver as we walked up and down the aisles, staring numbly at the racks. But more often we'd be disappointed.” The voice belongs to a young Chloë Sevigny, and the clothes are all X-Girl: the cult brand founded by Sonic Youth bassist Kim Gordon and stylist Daisy von Furth in 1993. Starring in and narrating the Phil Morrison-directed film for the line’s second collection, Sevigny and her co-stars channel the somber outlooks of French New Wave heroines. They also echo the sentiments of a generation of American teenage girls who just wanted one thing from fashion: clothes that actually fit them properly. Clouded with nostalgia, our own self-styled narrative of the nineties often refers to this vague notion of ‘simplicity’: Kate Moss for Calvin Klein and Courtney Love’s nightdresses. 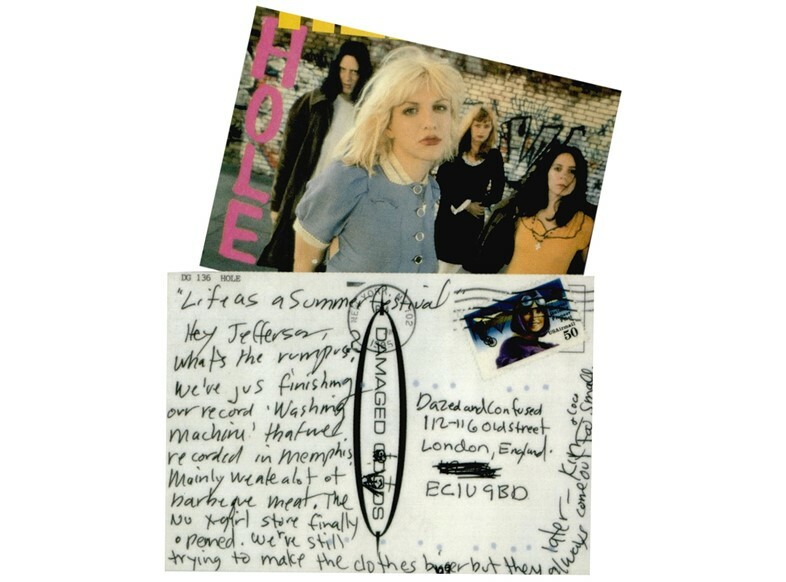 But Kim Gordon, the so-called ‘godmother of grunge’, actually rebelled against a grunge aesthetic that, in 1993, was swamping girls in swathes of ‘borrowed-from-the-boys’ layers. Instead, through X-Girl, Gordon and von Furth created a preppy look that feminised the skater girl/riot grrrl aesthetic while actually promising to flatter the manifold body types of adolescence and beyond: as the pair put it in one lookbook introduction, “X-Girls = women curves up and down.” Offspring lines from Miu Miu to Marc by Marc Jacobs (RIP), looking to appeal to a younger customer, have always tread the line between tomboy and girly girl in much the same way. “X-Girl’s sidewalk guerilla fashion show was a success in that it came off at all,” – so says Kim Gordon in her new autobiography, talking about the brand’s legendary first runway outing. Taking place on the streets of Soho – just down the road from the Marc Jacobs show, as it happened – and starring Sevigny in a faux bridal dress, the whole thing was thankfully documented by MTV’s House of Style. It also took place just a few days after Kurt Cobain – who was close to Sonic Youth – committed suicide. There were never any grand narratives when it came to X-Girl, though. The show remained full of optimism, pep and a future-facing teen spirit.